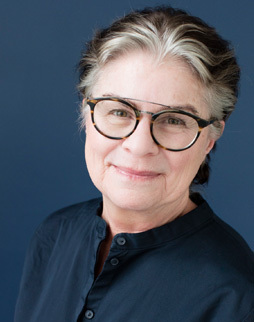 Nancy Zalusky Berg’s career in family law began 1985. Since then she has been a zealous advocate for her clients in all areas of family law from complicated high asset dissolutions to tirelessly advocating for victims of domestic violence and child protection cases. Most significantly, Nancy offers unparalleled expertise in international family law including child abduction and recovery, and enforcement of foreign orders. Nancy is exceptional in identifying and solving complex international property and child related issues, with significant understanding of cultural dynamics as well as local laws. Nancy’s expertise is recognized locally and internationally. She is the past President of the International Academy of Family Lawyers (www.iafl.com), past President of the IAFL – USA Chapter, a member of the American Academy of Matrimonial Lawyers, (www.aaml.org), past member of the Minnesota Lawyers Professional Responsibility Board. She has spoken all over the world on international family law issues and child abduction. Nancy has lectured in Japan, Nigeria, Argentina and London. She has been in the “Best Lawyers in America” and identified as one of Minnesota’s “Super Lawyers” of Law & Politics, Minnesota Monthly and Mpls-St. Paul magazines since 1993. She has been one of the top 100 lawyers in Minnesota for many years and listed as one of the top 40 lawyers in the Family Law practice area by Law & Politics. Ms. Berg has received a peer review rating of AV Preeminent by American Registry since 1995. She is a qualified neutral under Rule 114 of the Minnesota General Rule of Practice. Ms. Berg has also served on a variety of community non-profit boards. Ms. Berg is the “go to” person for referrals for mental health professionals and lawyers in other jurisdictions. It is said she literally knows everyone! When Nancy is not reading or advocating, she has enjoyed riding dressage, knitting, working with glass creating stain glass windows and jewelry. Her favorite pastime however, is travelling the world to immerse herself in different cultures and understand the different legal systems.